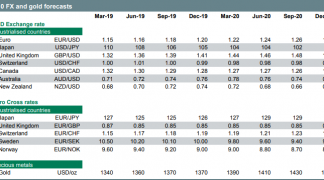 Foreign exchange analysts at UniCredit Bank have announced a sizeable upgrade to their forecasts for the Euro saying the currency is finally starting to recover from years of undervaluation. The Italian lender have as a result upgraded their targets on the EUR/USD exchange rate while warning the EUR/GBP should move higher through a key barrier before long which will mean Brits looking to buy Euros could be faced with even lower levels to transact from in coming months. The Euro has for years been undervalued thanks to policies put in place at the European Central Bank - the ECB has printed money under its quantitative easing programme and slashed interest rates to record lows in order to try and stimulate the Eurozone’s economy. A side-effect of this increase in supply of money is a materially undervalued Euro. Now that traders are seeing a future free of quantitative easing at the ECB and higher interest rates, a "correction of fundamental EUR/USD undervaluation is gathering pace and is likely to be completed by the end of next year," says analyst Kathrin Goretzki, an FX Strategist with UniCredit Bank in London. UniCredit expect the EUR/USD exchange rate to attempt to reach its fair value estimate of 1.25. For Sterling, an upgrade in EUR/USD has important implications. In short, when the Euro is rising against the Dollar it is also likely rising against the Pound. What could the next triggers to further Euro strength be? The next major event for the Euro will be the September 7 policy meeting when the ECB could announce a plan to start tapering its quantitative easing program at the beginning of 2018. However the event is not without risks for those betting on an ever-stronger Euro as there are suggestions that the ECB will be concerned by the Euro's recent rally. “We do not expect the strengthening of the Euro to stand in the way of a reduction of asset purchases from January 2018 onwards and completion by end-2018,” says Goretzki. 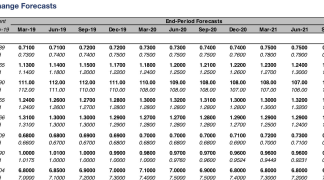 The analyst notes that while the ECB’s preference would be to have a weaker currency, "the central bank is aware that EUR/USD is still below many estimates of fair value (our BEER estimate is at 1.25) and, most importantly, the appreciation is far less pronounced on a trade-weighted basis." 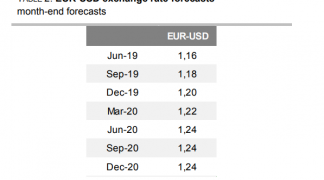 UniCredit forecast EUR/USD at 1.29 by year-end ahead of a rise towards 1.22 by mid-2018 and 1.25 by end-2018. Turning to the Euro v Pound exchange rate, Goretzki reckons further gains are likely to be made by the single-currency. As mentioned, EUR/USD will likely be key driver of EUR/GBP but Sterling weakness is likely to reinforce this view. UniCredit believe EUR/GBP is likely to break the 0.90 mark soon, which represent a break below the key 1.11 area in Pound to Euro terms. “At a time when the UK economy is slowing down, Eurozone fundamentals are improving, and limited progress in Brexit negotiations means uncertainty is likely to remain very high, we see further upside for EUR/GBP,” says Gorestzki. UniCredit forecast the EUR/GBP to be at 0.92 by the end of 2017 ahead of a move to 0.94 by the third-quarter of 2018 and 0.95 by the end of 2018. In GBP/EUR terms this equates to 1.0870, 1.0638 and 1.0526. However, such a move won't come easy we believe. Up until now the strengthening in the GBP/USD exchange rate has provided some support to Sterling and a notable fall in GBP/EUR would presumably need some support from a decline in GBP/USD. And in the current environment of USD weakness such a decline might not be imminent. Add to this the view that the EUR/USD has risen too far, too fast and we get the sense that the Euro's period of appreciation has some limits. If the Euro consolidates against the Euro we could see a solid base form under the Pound. Nevertheless, the balance of risks for the next big directional move out of any period of consolidation remain pointed to the downside. 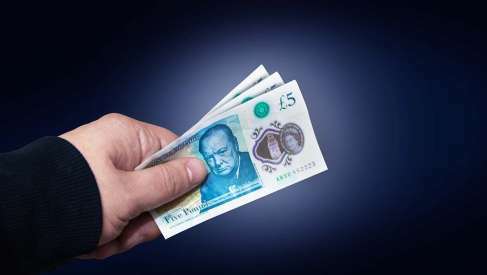 The British Pound has caught a bid against the Euro and US Dollar on the back of a fresh set of UK economic data which confirms UK economic activity continues to accelerate from its soft start to the year. The UK’s manufacturing sector continues along a path of growth according to fresh data amidst a welcome and perhaps long-overdue uptick in export activity. IHS Markit and the CIPS report that their Manufacturing PMI survey reveals an acceleration in activity in the sector with a reading of 55.1 being reported for July, up on the previous month’s 54.2 and ahead of economist forecasts for 54.4. Above: Sterling rallies against the US Dollar at 09:30 when UK Manufacturing data is released. "This morning’s UK manufacturing PMI survey gave the Pound another boost, following a sharp rise into a 10-month high against the Dollar yesterday. Particular encouragement will be drawn from the strong export performance, with the continued decline in the value of the pound, relative to the euro, making UK producers increasingly competitive within our greatest export market," says Joshua Mahony, an analyst with IG. The data corroborates the findings of other surveys which also point to an uptick in activity for the sector with the CBI reporting in their latest industrial trends survey that production among UK manufacturers grew at the fastest pace since January 1995 in the three months to July. 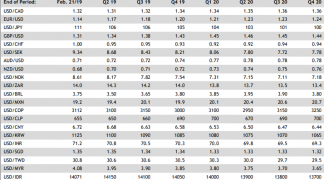 Scott Bowman, UK Economist at Capital Economics says the three-month average of the survey’s output balance is consistent, on the basis of past form, with a quarterly gain in manufacturing output of almost 1% is well above the 0.5% contraction reported in the first estimate of Q2 GDP. Of interest, the Manufacturing PMI report shows exports are picking up as the soft Pound combines with an increase in global business activity to stimulate demand for UK-produced goods. The report notes a significant boost from the trend in new export business, as foreign demand rose at the second-strongest rate in the series history, beaten only by that recorded in April 2010. “The manufacturing sector remained on terra firma this month, with a sustained rise in new orders, overall activity, new jobs, and with strong optimism to boot,” says Duncan Brock, Director of Customer Relationships at the CIPS. There was also good news for the Euro, however. Eurozone economic statistics showed growth of 0.6% quarter-on-quarter driven by a mixture of resillient domestic demand and firming export activity. Analysts note that data published in the last couple of days show that solid and broad-based GDP growth is finally starting to be accompanied by early signs of life in core inflation, which, if confirmed, would indicate that macro numbers look increasingly on track. "This strengthens the case for an ECB tapering announcement in autumn," says Marco Valli, Head of Macro Research at UniCredit Bank in Milan. The promise of a tapering of the ECB's extraordinary monetary stimulus plan has driven the Euro higher through the course of 2017, but there are risks. Valli also warns that the rising Euro could be its own worst enemy as the ECB will be monitoring financial conditions and a rising Euro might place downward pressure on both growth and inflation as the cost of imports falls. In trade-weighted terms, the euro is up by about 2% since Draghi’s speech in Sintra, and by about 4% relative to the technical assumptions used for the June ECB forecasts. There is a chance the ECB could delay the tapering call if the Euro's upward rally does not fade and currency traders betting on a stronger single-currency might be disappointed.